The Food and Drug Administration’s ongoing war on vaping has taken perhaps its strangest twist yet. 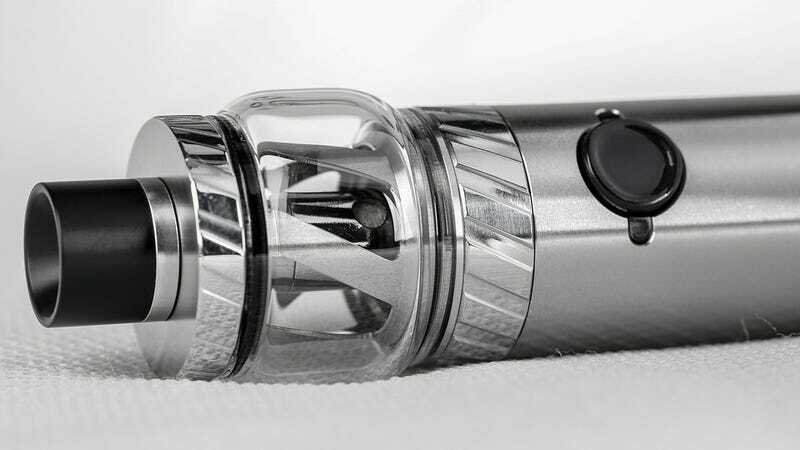 On Thursday, the agency sent off a warning letter to a company for illegally juicing its vaping fluids with erectile dysfunction drugs. The China-based company in question, HelloCig Electronic Technology Co. Ltd, wasn’t exactly shy about its scheme. One product, “E-Cialis HelloCig E-Liquid”, was tested by the FDA and found to contain sildenafil and tadalafil, the active ingredients in the brand name drugs Viagra and Cialis, respectively. Another product, “E-Rimonabant HelloCig E-Liquid,” was marketed as containing the anti-obesity drug rimonabant. But the FDA found that it also contained sildenafil. How these drugs would affect the body when vaped is an open question, since there’s no real research on the topic. But even when safely used, drugs like sildenafil can be risky for our heart, blood pressure, and vision. The chances of serious side effects only go up when they are mixed with other common prescription drugs, such as nitrates. Not to mention, one can’t help but cringe (or chuckle) at the surprise some users hoping to lose weight might have had if they actually took an inadvertent puff of sildenafil. The FDA’s letter sent to the company gives it a 15-day ultimatum to respond to the agency, detailing how it plans to fix its mess. Failure to heed the FDA’s warning can result in more aggressive actions such as a seizure of the company’s products by law enforcement officials or a legal injunction that would shut down its business. But the FDA isn’t content to stop there. On Friday, the agency also sent out letters to 21 companies that manufacture and import e-cigarette products, demanding they hand over any information that would help them decide whether certain products—more than 40 in total—are being illegally marketed, particularly to young children and teens. These moves follow a surprise inspection by the FDA of the San Francisco offices of major vaping company JUUL last month. As part of the inspection, the agency obtained thousands of documents on JUUL’s marketing practices. For all the FDA’s bluster, it’s worth noting a study just released today found that the agency is often declining to use its authority to recall supplements tainted with prescription drugs, including sildenafil.